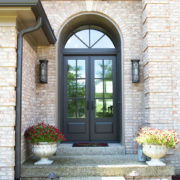 The homeowners loved their location and loved the home, but it was lacking in identity and character. 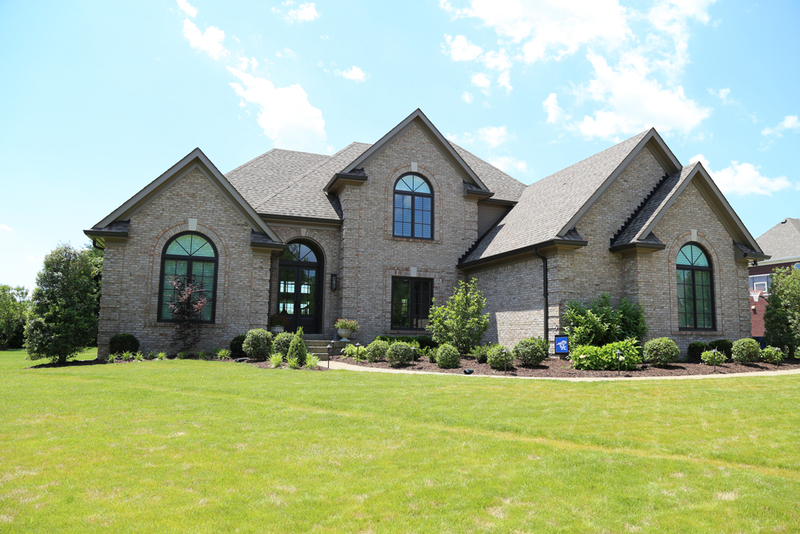 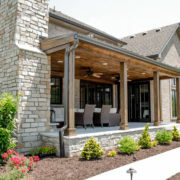 They had a vision to update some of the standard, builder-grade components of their home to create a more custom look. 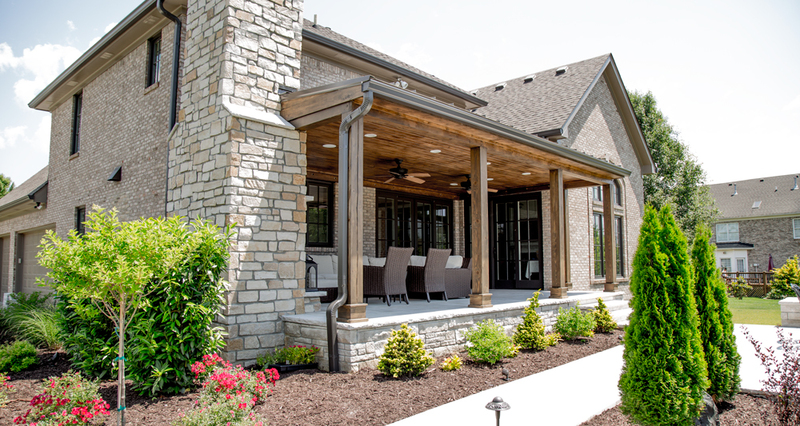 They also wanted to add outdoor living space to provide a shaded place to relax and entertain. 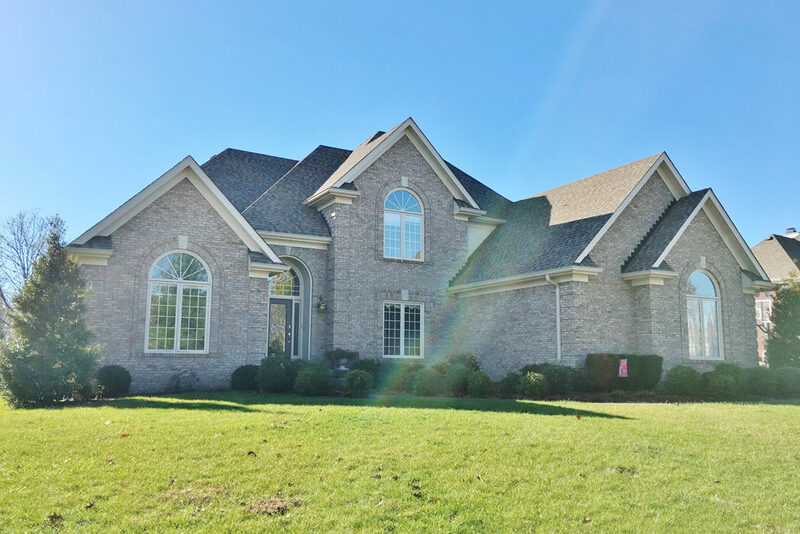 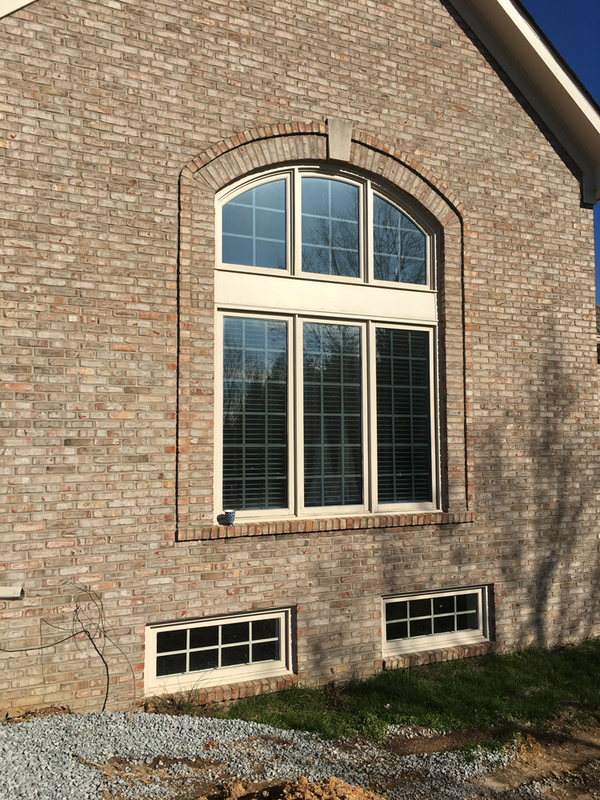 All windows in the home were replaced with Marvin Ultimate windows with bronze aluminum clad exterior and painted wood interior to give the home an updated look. 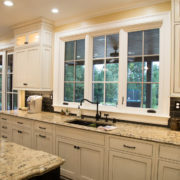 Updated kitchen features open concept with three-wide Marvin casement windows over sink and large double Marvin sliding french patio door that opens to outdoor space. 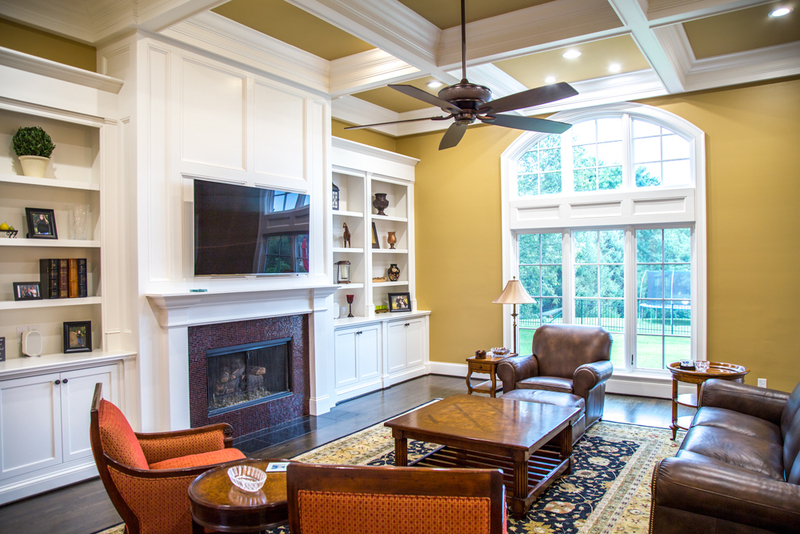 Family room receives a makeover with coffered ceiling, updated trim, built-in shelves, large arched top Marvin window and a Marvin sliding french patio door that opens to outdoor space. 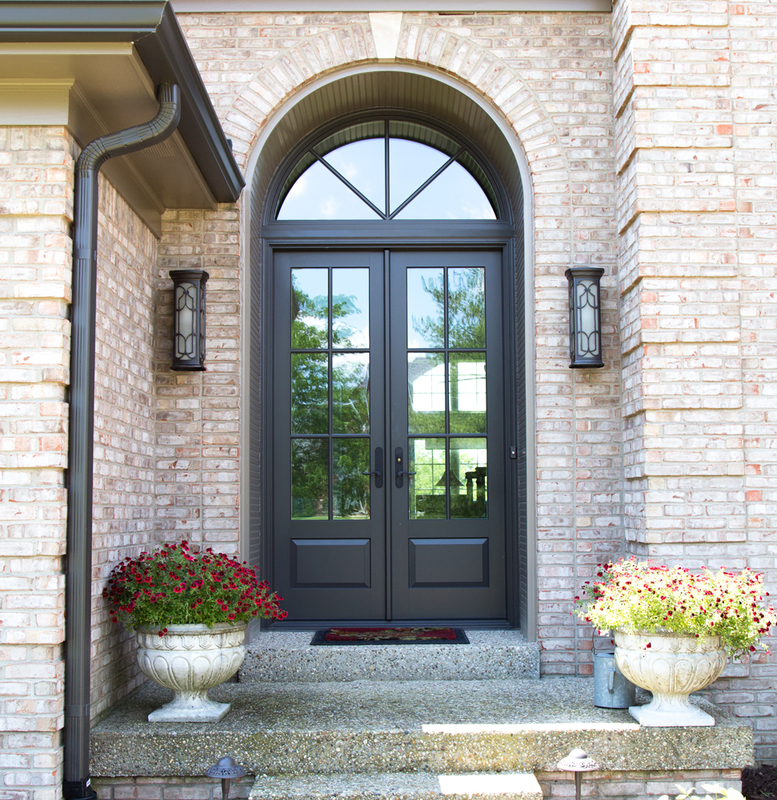 Front entry is now a showcase with Marvin swinging french doors topped with an arched transom. 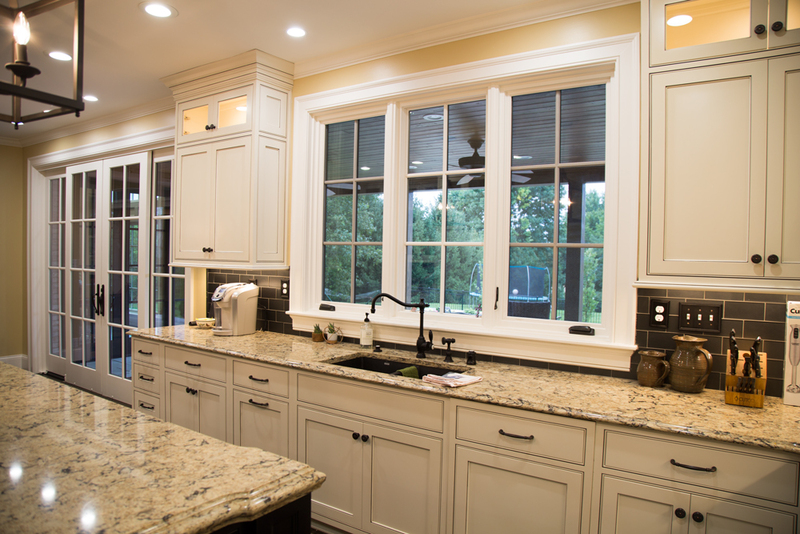 The use of windows and doors in the kitchen and family room allows a visual connection between the indoor and outdoor spaces and brings plenty of light into the kitchen and family room. 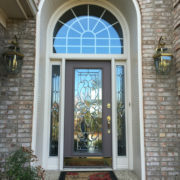 The visual change to the home is dramatic and the homeowners are very pleased with the new look of their home. 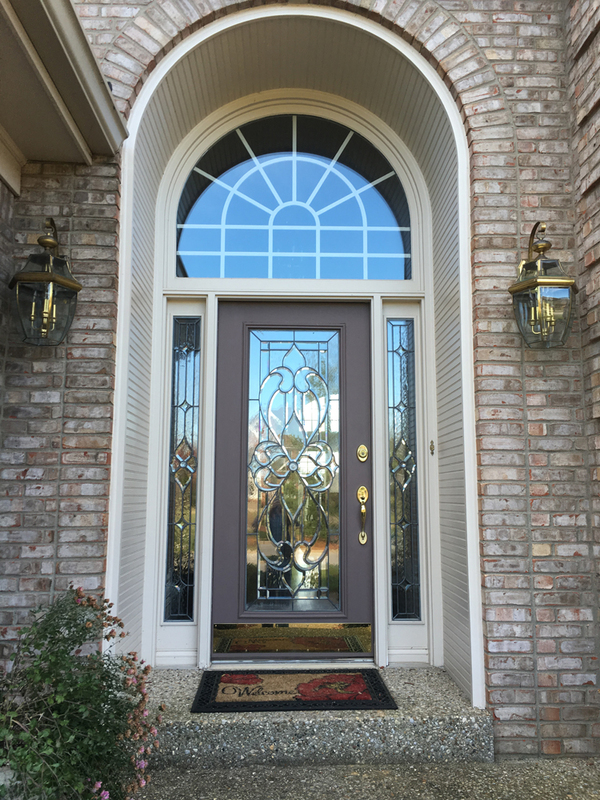 They report that in terms of quality, value and dependability, they are confident that the Marvin products were the best choice for their “forever” home. 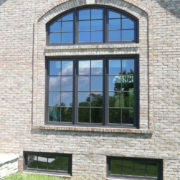 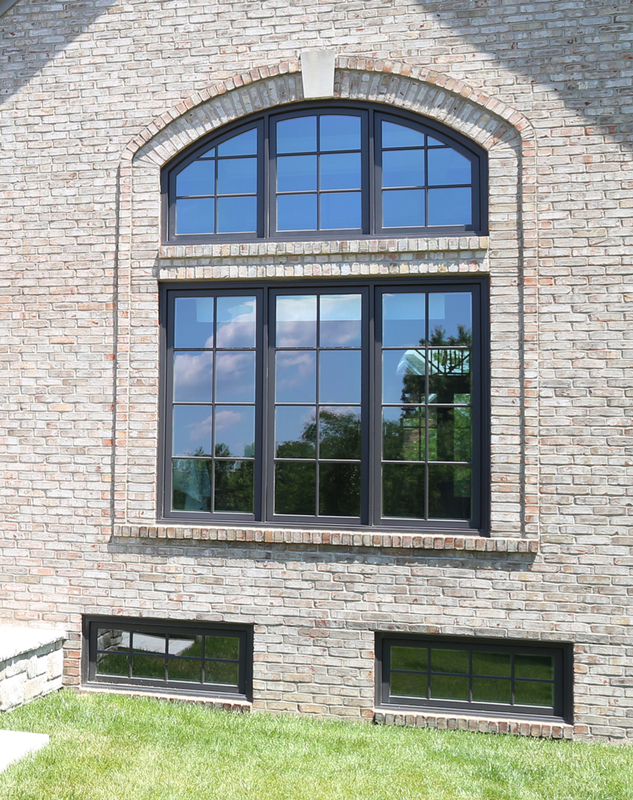 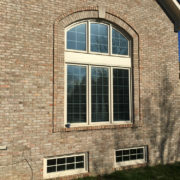 In addition, they are complimentary of the value Door Store and Windows added to their project through design help, excellent installation techniques and a lifetime warranty.